Built in 1950, Cape Baily Lighthouse is the youngest of the NPWS lighthouses — though its lantern enclosure was taken from an unknown late-19th-century lighthouse. Standing in Botany Bay National Park, the lighthouse looks across the coastal heath of Kurnell Peninsula. It is surrounded by significant Aboriginal sites, sandstone cliffs and gorges, and several important wetland areas. This image belongs to the travel and nature stock photo library. This stock photo of Cape Bailey at Sunrise is available for licensing for commercial and editorial uses including websites, blogs, books, magazines, brochures and advertising. Restrictions may apply for images which contain third party copyrighted material or sensitive subjects. Photos of artwork are for editorial use only. 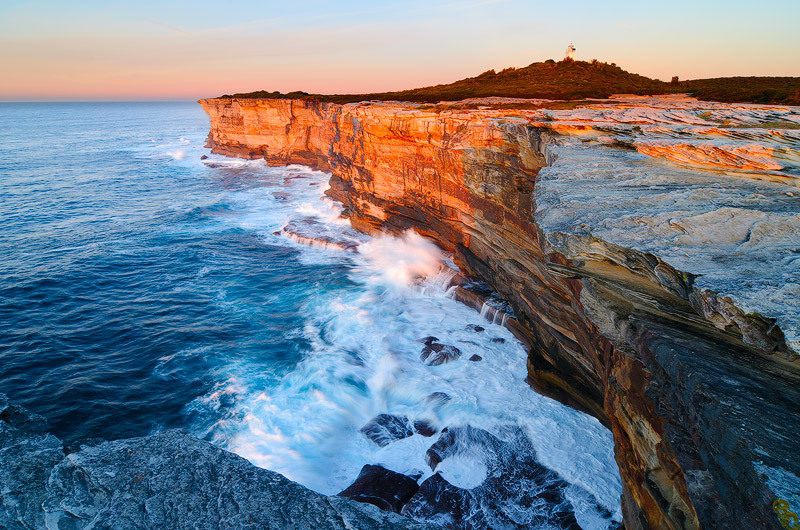 This image id AU-NSW-CAPE-BAILEY-0001 of Cape Bailey at Sunrise, is copyrighted © by Ilya Genkin. This is not a public domain image.